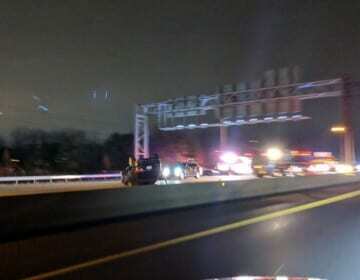 Crews are on the scene of a Tuesday evening crash along the beltway. At about 8:15 p.m., emergency personnel responded to the inner loop of I-695 at the Golden Ring exit for a report of an accident. At the scene, paramedics found there had been a multi-vehicle crash with one vehicle overturned.